Due to a sudden increase in demand, SEAL SwimSafe is temporarily out of stock. to join our waitlist and receive $10 off your order when additional SEAL SwimSafe Systems are available! Drowning is the #1 cause of accidental death for kids under 5. Parents need help keeping little swimmers safe around water. Did you know (and do your patients know?) that drowning kills more children than car accidents do? Yet millions of car seats are sold, while there is little awareness about drowning, which is the #1 cause of accidental death for kids under 5. SEAL SwimSafe was invented by two ER physicians who wanted to do something about it. Parents need help keeping little swimmers safe around water. SEAL SwimSafe protects your swimmers. Kids love to wear our lightweight Bands that light up with flashing LED’s and stay in constant contact with the SEAL SwimSafe Hub. The Hub will alarm parents and lifeguards if a swimmer stays under water too long. Trusted by YMCA’s, club and city pools and parents all over the world, SEAL SwimSafe is the ultimate in swim safety technology. With SEAL SwimSafe, we can help kids have the confidence to learn to swim while still having fun. SEAL SwimSafe is currently out of stock. Watch a quick video to see how SEAL SwimSafe works to protect swimmers around water. SEAL SwimSafe™ is a new wearable technology that protects swimmers at the pool, on the beach, anywhere you swim, boat, splash or float. Stay in constant contact with your swimmers this summer withSEAL SwimSafe™. Introducing the most important wearable device ever made. 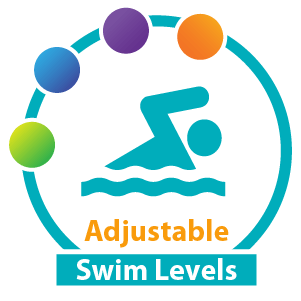 SEAL SwimSafe™ uses patented technology to monitor swimmers anywhere around water. Set the Swim Level for your swimmer, put on the Band and go splash and have fun! 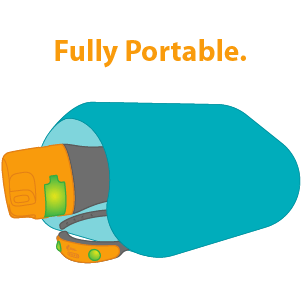 It’s completely portable, one charge will last a full day on the beach or at the pool. A safety device kids love to wear. Imagine that. Our colorful, lightweight Bands light up with flashing LED’s that indicate the swimmers Swim Level. Kids get excited when they put on a SEAL Band. Trusted by YMCA’s and club pools, theSEAL SwimSafe™ Swim Monitor System is now available to you and your family. Made by parents, for parents. No matter who you are, if you have a child who is just swimming or not yet able to swim, you need to have an extra layer of protection.SEAL SwimSafe™ lets kids learn to swim while still having a blast.